Everyone loves a good orphan story—or that’s what we must assume, given the popularity of them. I’ve only ever pretended to read Anne of Green Gables (I saw all 4 movies) and Heidi (I read the Classics Illustrated comic), but I just spent a year going through the Lemony Snicket Series of Unfortunate Events with my ten-year-old niece. 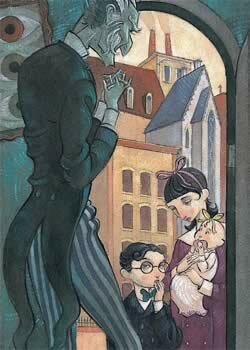 Snicket’s orphans are terrifically unfortunate and fortunately clever, and as much as he flirts with the bad ending to the orphan story—i.e., the truth about real life—the Baudelaire orphans are “like most literary orphans … wise, worthy, and self-possessed” (from The Willoughbys bibliography of orphan stories). I’ve read James and the Giant Peach with my son—brilliant writing—and working through the Narnia Series. And don’t forget, there is also Harry Potter, the deferential, quick-witted put-two-and-two-together invention of the generation. And these are just some of the orphan stories that are the bricks and mortar of our literary foundations. In 2008, prolific and award-winning children’s author, Lois Lowry, added one more brick to the orphan lit wall—albeit a brick lain with tongue in cheek. The Willoughbys is a self-deprecating story of an “old-fashioned family” where the rosy-cheek children are tragically orphaned and ultimately saved by an odious nanny and a melancholy philanthropist hoping to fill his empty mansion with the sound of children’s laughter again. At least, that’s the surface story. Below an old-fashioned British orphan-nanny story is a tale of boorish children who abandon the child left upon their doorstep because it is too ugly and noisy. And their parents are even worse. They don’t like their children, so abandon them to a baking, haphazard dimwit (the nanny), put their house up for sale (with the children still in it), and go on dangerous vacations throughout the world. It is a relief when they finally die. The “tragedy” of the parents’ death leads the children to try to negotiate the future with the space-chicken nanny and the unfortunate tycoon. There is also a boy who thinks he is speaking German but is really just speaking English with random German sounds. It’s actually the best part. I think it is intriguing that Lowry is playing with the genre and creating hateful characters where the beloved ones should be. 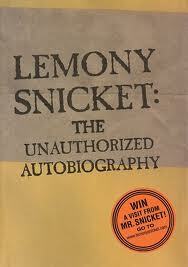 But the children are so despicable and the parents so detached that I hated the first 1/3 of the book. I’m a huge Lowry fan—do stories come much better than The Giver?—and, yet, I almost set the book aside. It was awful to read, and the story didn’t seem to suggest a hopeful or tragic future worth reading. [The Nanny] was leaning over the baby, smiling and talking in a babylike voice. “What’s your daughter’s name, Commander?” she asked…. 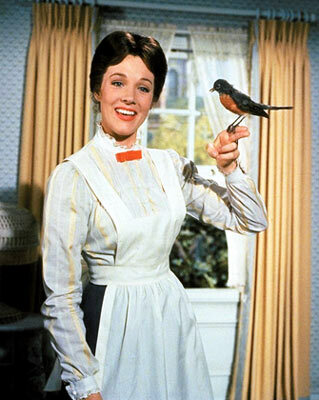 “Like Mary Poppins?” suggested the man, with a pleased look of recognition. “Bereaved benefactor?” suggest the commander. “We are both wonderfully old-fashioned, aren’t we?…” (101-102). Dialogue like this demonstrates while it is not a multi-layered satire, it is a playful deconstruction of a motif in children’s literature. UNKEMPT means untidy and messy. My dictionary says it can also mean disorderly, but I know that a person can be arrested for being “drunk and disorderly” and I don’t think someone can be arrested for being unkempt. Also, I don’t think there is a word kempt—so what is that ‘un’ all about? Beats me (167). WINSOME means charming and innocent. The victims of villains are usually winsome and often have curls and long eyelashes (168). Lots of fun. There is also a humorous annotated Bibliography of the orphan-nanny genre of books. 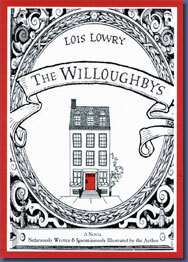 The Willoughbys is not Lowry’s best book, and will not likely add to the classic orphan-nanny genre. But it is a good read, a fun poke at serious fiction, and in the end it is over too quickly. This entry was posted in Reviews and tagged Anne of Green Gables, Baudelaire orphans, Heidi, Lemony Snicket, Lois Lowry, nanny, Newberry, orphan, orphan literature, parody, Series of Unfortunate Events, The Willoughbys, Unauthorized Autobiography. Bookmark the permalink.